Porcelain veneers are a wonderful way to address a number of dental concerns. However, they are not the only way. Cosmetic dentistry allows most patients to have a variety of options available to them when it comes to esthetically changing their smile. Veneers are bonded over the top of natural teeth in order to change their shape, size, or appearance, but other alternatives are available as well through Worcester dental offices. Porcelain veneers are not a patient's only option. Teeth whitening, dental bonding, and orthodontics can also assist patients in achieving the ultimate smile! For patients dealing with stains, discoloration, and overall dulled teeth, teeth whitening and bleaching may be a way to address the problem. Whitening can be done with either in-office, chair-side whitening systems or with a special take-home treatment that patients can complete in the privacy of their own home. For teeth that are chipped or cracked, porcelain veneers are not the only option. Dental bonding is a special material that is used to change the size or shape of a tooth, or to "redesign" a tooth after it has been traumatized. Teeth with chips or cracks can be fixed with dental bonding. This is a very affordable--though short-term--option for many patients looking to address imperfections in one or more teeth. Treatments such as Six Month Smiles or Invisalign can be done for teeth that are mildly crooked or misaligned. While these treatments may take a little longer, they will not affect the tooth structure like porcelain veneers will. The results are permanent for patients as long as they continue to wear their retainer after treatment. 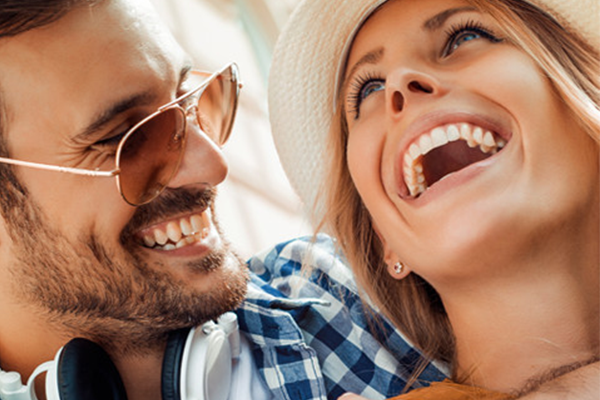 Levenson Smile is a Worcester dental office that offers porcelain veneers, as well as other cosmetic restorations to help patients achieve the smile they've always wanted. It's important to talk with Dr. Levenson about your dental concerns and find out how the staff at Levenson Smile can help you achieve your dream smile today!